*Prime Bathurst/Glencairn! *Alexandra Wood Area! 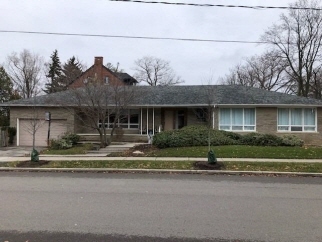 *Much Admired Spectacular 3+1Br 3Bth Sprawling Ranch Bungalow On An Incredible 50X150' Corner Lot! *Fab Flow For Entertaining! *Main Floor Family Room Can Be 4Br! *Separate Entry To Nanny Ste! *Mins To Ttc,Subway,Shops,Schools,Synagogues,Parks+All Amenities! *Don't Miss This Seldom Available Opportunity! Additional Features and Amenities (Ex: Mn Flr Fr+Stove+D/W+Bsmt S/S Washer+Dryer,All Window Blinds+Covers,Elf's In Dr+Mbr+2Br+3Br),Bsmt White Fr+Stove+D/W+Washer+Dryer(All As Is),Brdlm W/L,Egdr,Gf+E,Cac,Hwt(R),(Bsmt 4Pc Works Only As A 2Pc),Roof('13),Loads Of Storage Space!